Potty training for toddlers is a must. But is there a right and wrong place to do it? A photo showing a mom sitting her child on a portable potty in the aisle of an airplane is going viral. No other details about the flight were given. 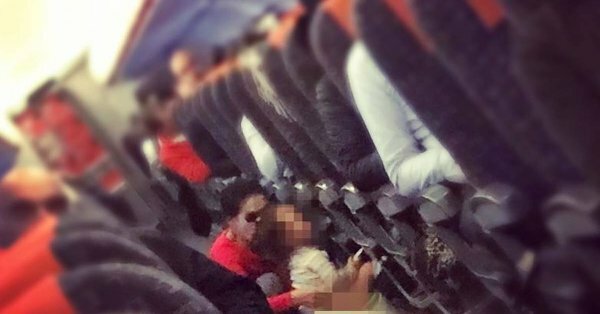 Someone posted the now controversial and contentious photo on the Passenger Shaming Facebook page. The reactions to the photo have been strong. Many of the commenters expressed their disagreement with the method of the mother to potty train her child, describing the photo taken on the plane as disgusting while others said it was outrageous. Fellow mothers, however, stood up for the mom in the photo. They said that, of course, ideally potty training is great if done at home. They argued, though, that it is unavoidable for mothers and their toddlers to go out, while the need for potty training remains wherever they may be. Mothers also stressed that many of them also carry those portable potties and that while it may not look pleasant to others, and may not be ideal to bring those anywhere, they are left with no other alternatives. The mothers also pleaded for more understanding and sympathy for the mother in the viral photo from social media users instead of passing judgments. Airlines are quickly becoming the Greyhound Bus Line of the skies. I have heard a few stewardess's refer to the Coach section as having to work the cattle pasture and other less flattering but very accurate names. Give Federal Reg's in many cases needed, coupled with competition it drives the prices down to the point even Illegals can fly within the USA Texas to several Illegal migration cities for under $100.